The server is going to be designed for single user access. Therefore this setup isn’t going to be suitable for a shared hosting environment, but is ideal for personal and fully managed client sites. Depending on the virtual server package you choose, this setup should comfortably handle multiple sites on a single server. 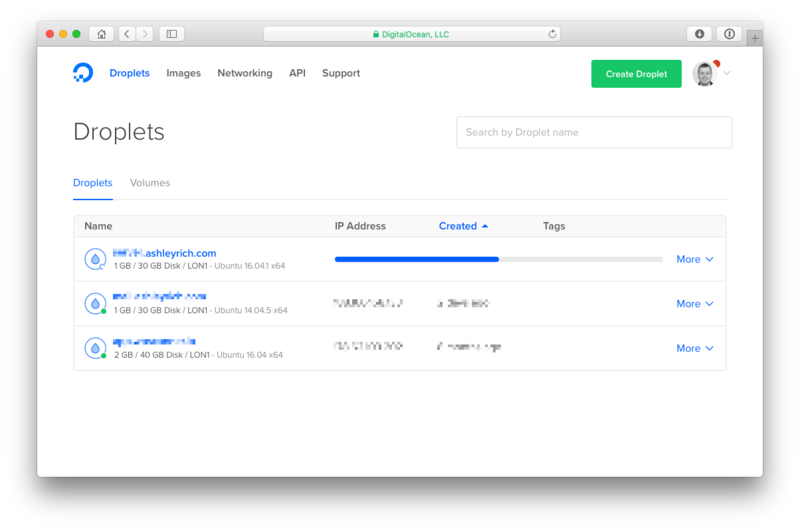 In this tutorial series I’m going to use a Digital Ocean 512MB droplet ($5/month), but you could also choose Linode, Amazon EC2, or one of the many other virtual server providers. Regardless of which you choose, the steps following the initial server creation should be very similar. The steps detailed in this series are written for Mac users, but Windows users shouldn’t find too many differences once you get past part 1. I’m also assuming you are comfortable using the command line. 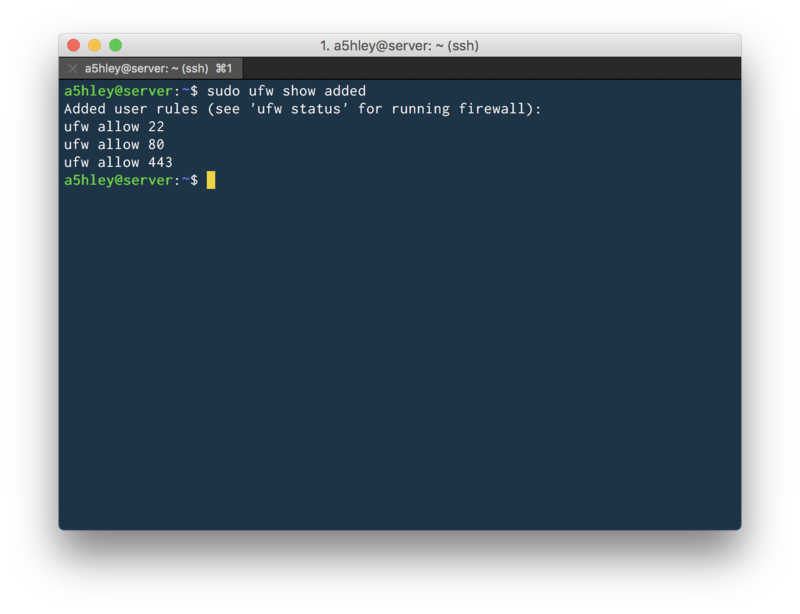 Finally, although designed for WordPress, this setup should work equally well for other PHP open source systems. So, without further ado, let’s begin building your new server! One drawback to choosing a distribution with frequent software updates is that it’s possible to introduce new bugs and conflicts. Luckily, Ubuntu has a LTS (Long Term Support) release, which uses packages that are considered more stable. LTS releases occur every 2 years and are supported for 5 years – making them suitable for production servers. At the time of writing, the latest LTS release is 18.04 (Bionic Beaver), which is the version I’m going to choose. With the distribution and release version selected, go ahead and create a new droplet. Remember to select a region that is closest to the majority of your base audience. I would also recommend that you enable the ‘Monitoring’ option. Although you are going to disable root login a bit later, you should set a strong password (using a tool like 1Password), as you will still be able to switch to the root user once logged in. When the upgrades have completed you will be shown which packages have installed, and also which packages are no longer required by the system. Later in this tutorial you are going to disable root login, which means you need another user account in order to access your server. The root user contains very broad privileges which will allow you to execute potentially destructive commands. Therefore it’s advised to create a new user account with more limited permissions for day-to-day use. 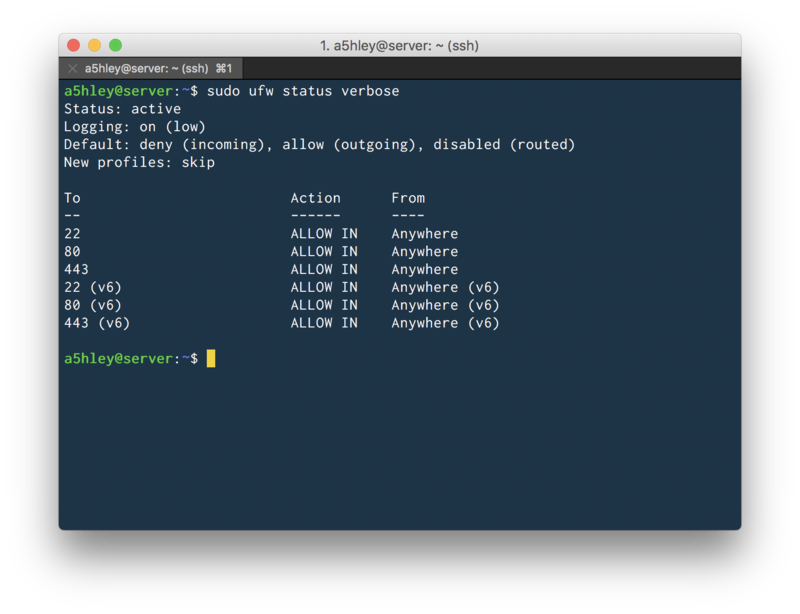 This new user will be added to the sudo group so that you can execute commands which require heightened permissions, but only when required. 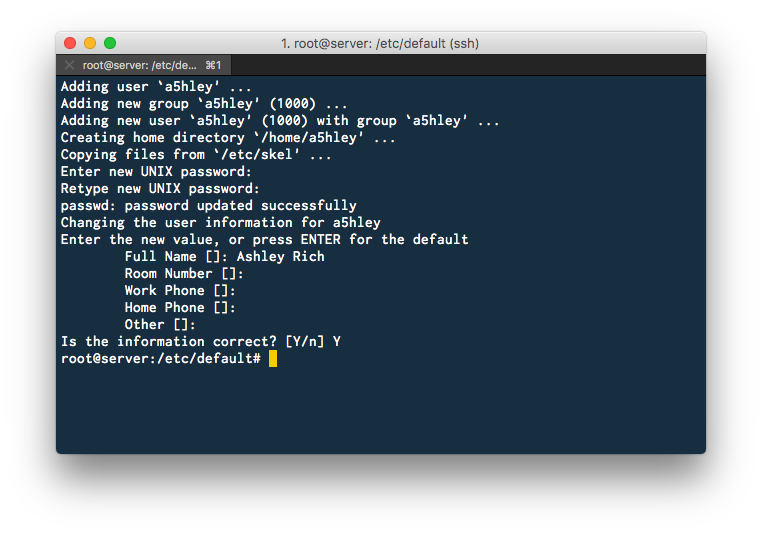 Now if you logout of the current SSH session and try reconnecting, you should no longer have to enter your user password. 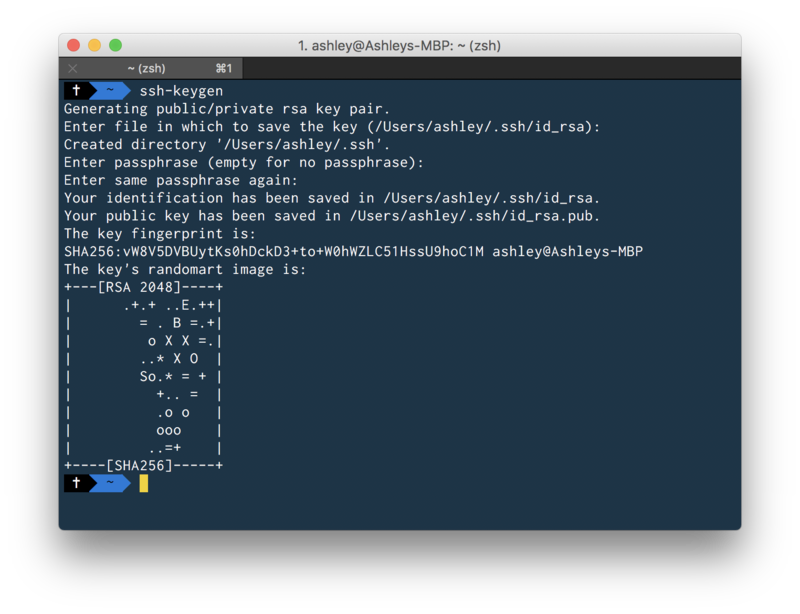 Remember, if you set a passphrase when creating the SSH key, you will need to enter it when prompted. Now if you exit out of the current SSH session and try connecting with the root user you should receive a permission denied error message. Find the line that reads #PasswordAuthentication yes and change it to PasswordAuthentication no. Hit CTL-X then Y to save the changes. 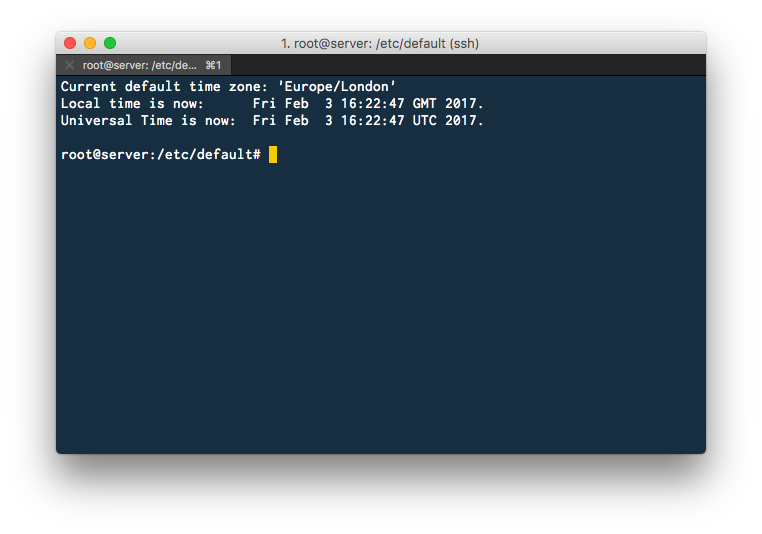 Once again, you must restart the SSH service for the changes to take effect. You should login to the server successfully. 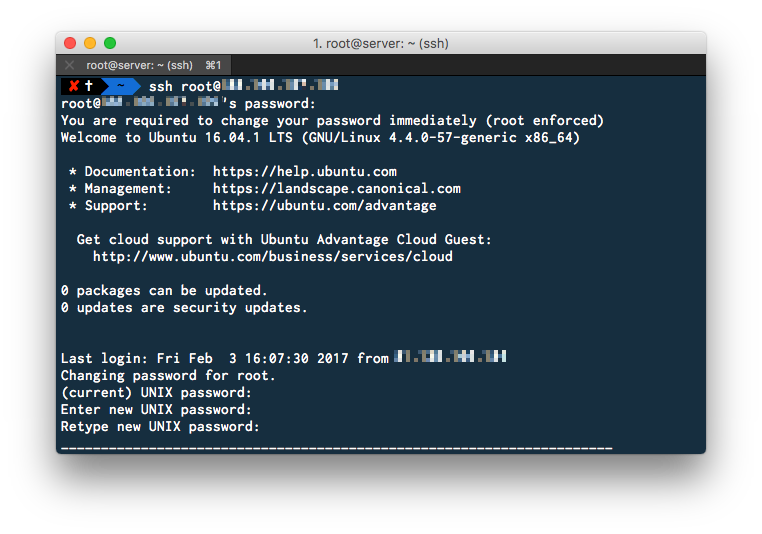 To further test that password authentication is disabled I like to temporarily rename the SSH key located in my .ssh directory. When attempting to log into the server this time you should receive a Permission denied (publickey) error. You will see that all inbound traffic is denied by default except on ports 22, 80 and 443 for both IPv4 and IPv6, which is good starting point for most servers. Fail2ban is a tool which works alongside your firewall. It functions by monitoring intrusion attempts to your server and blocks the offending host for a set period of time. It does this by adding any IP addresses that show malicious activity to your firewall rules. That’s all for part 1, in the next post I will guide you through installing Nginx, PHP-FPM and MariaDB. Until next time! This entry was tagged WordPress, Server, Linode, Digital Ocean, Hosting, Linux, Ubuntu, SSH, Security.